TSG is fortunate that I have and continue to get asked to visit, research and review golfing destinations, particularly those often away from the mainstream. 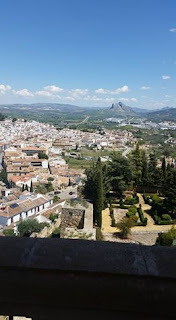 So it was with our visit to the historic hillside town of Antequera, a rural retreat in the Andalucian hillside about 35 miles north of Malaga. 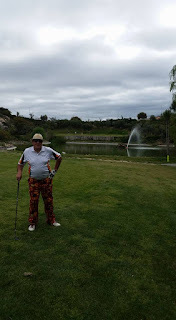 My good friend Rodrigo Villegas had been involved in the design and promotion of the course and two hotels in the region and he had often asked me to visit and profer my professional opinion. 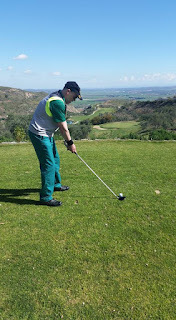 So for my birthday in April 2016 and to escape the miserable UK weather it was a great opportunity to view a course and a region , I had never before visited. 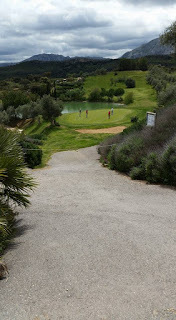 the 18th at Antequera from the 19th! TSG ofcourse expects a certain standard and its on this criteria that I write and form an opinion. 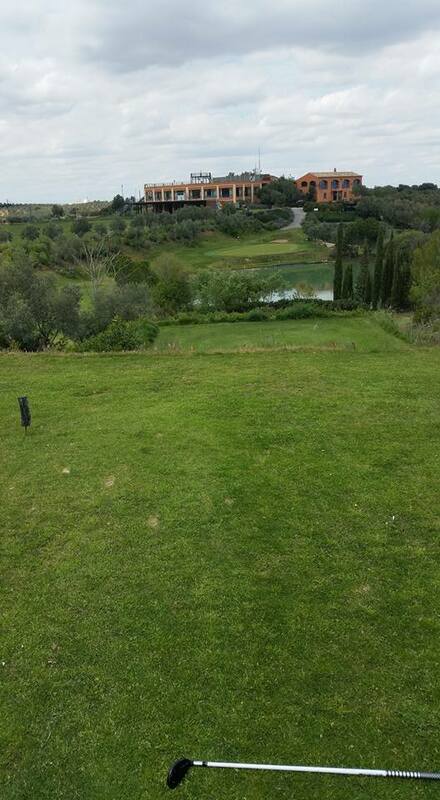 With regard to the GOLF, I am looking for a well maintained, interesting design with stunning vistas. 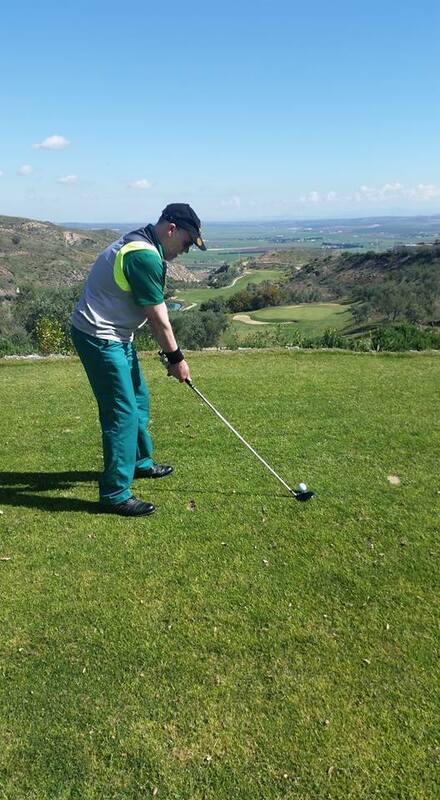 This was certainly the case at the ANTEQUERA GOLF COURSE. In respect of the accomodation, I look for a range of budget options but at the 5 star level, our expectations include, great location, great facilities, outstanding food. 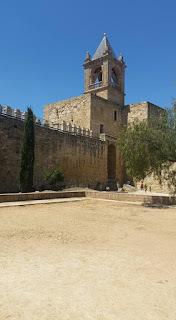 Again at the CONVENTO DE MAGDALENE, we where not to be disappointed. Finally as it is a Social outing, the area has to offer somethng special too. 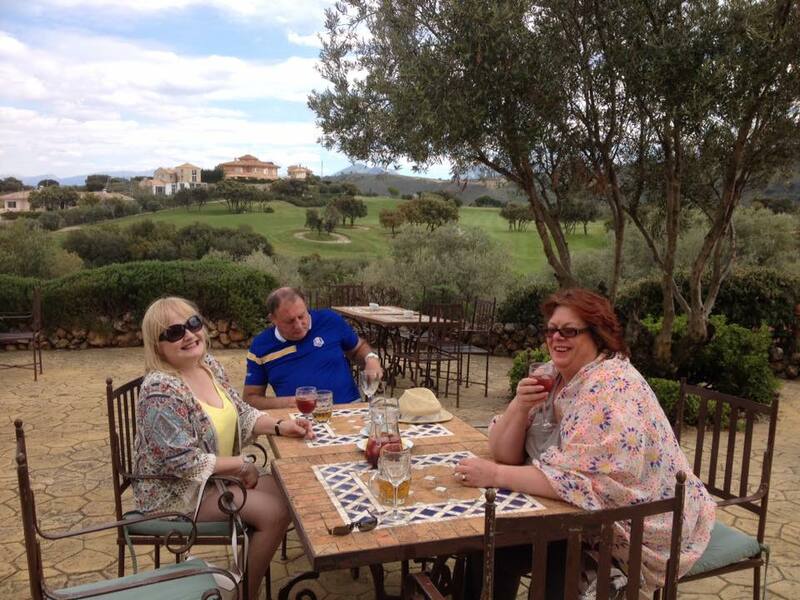 A hat trick, ANTEQUERA TOWN did not let us down. Flights to Malaga are so easy from the UK from most airports in the UK, Very reasonable prices can be found by comparing the respective budget airlines, particularly, Monarch and Easy Jet. We flew Easy jet from Newcastle for less than £70 return. 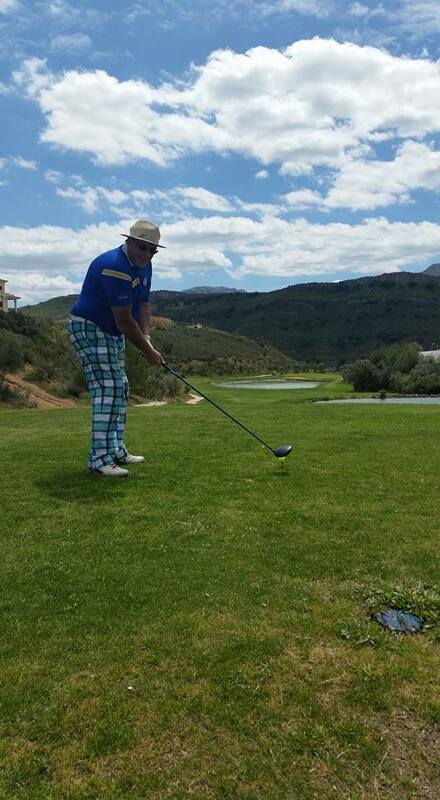 However if we had to take our clubs that would have added over £60 to the flights. 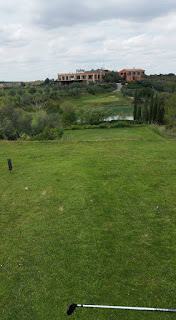 It was cheaper therefore to use the facilities of www.blueskygolf-rental.com for just £40 , I hand picked a set of clubs that where waiting for me at the hotel on arrival and would be collected after our departure. Iwas very happy with the quality of the equipment. If I am in a competition like the JR CLASSIC, I would want my own clubs but playing socially, these more than fit the bill. 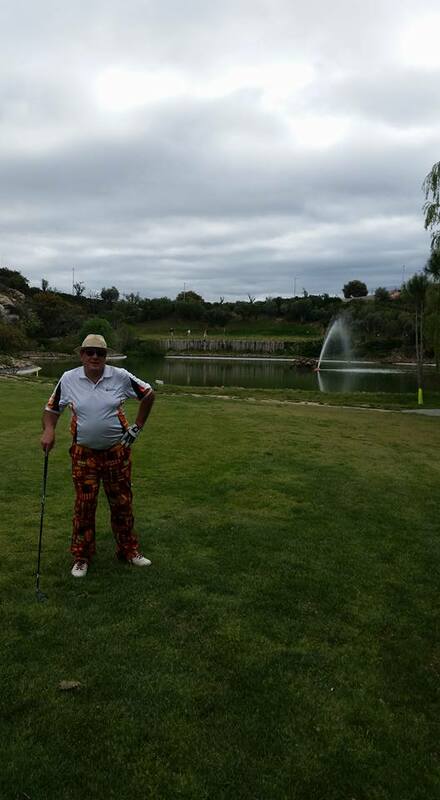 A cash saving, ease of travel, no discernable issues at all with the clubs, I recomend this company and will use again, as we will www.malagatransfer.co.uk who collected us at the airport and took us to the hotel, efficiently and on schedule. So to the hotel, situated atop of a hill about 8km from Antequera town is the magnificent Convento de Magdalene. The approach is spectacular, the hotel, imposing and attractive. 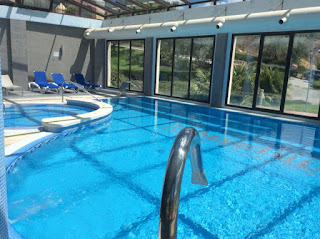 The staff were professional and attentive, the facilities and spa befitting a 5 star establishment but in my humble opinion the rooms were as good as I have been on any golf trip. 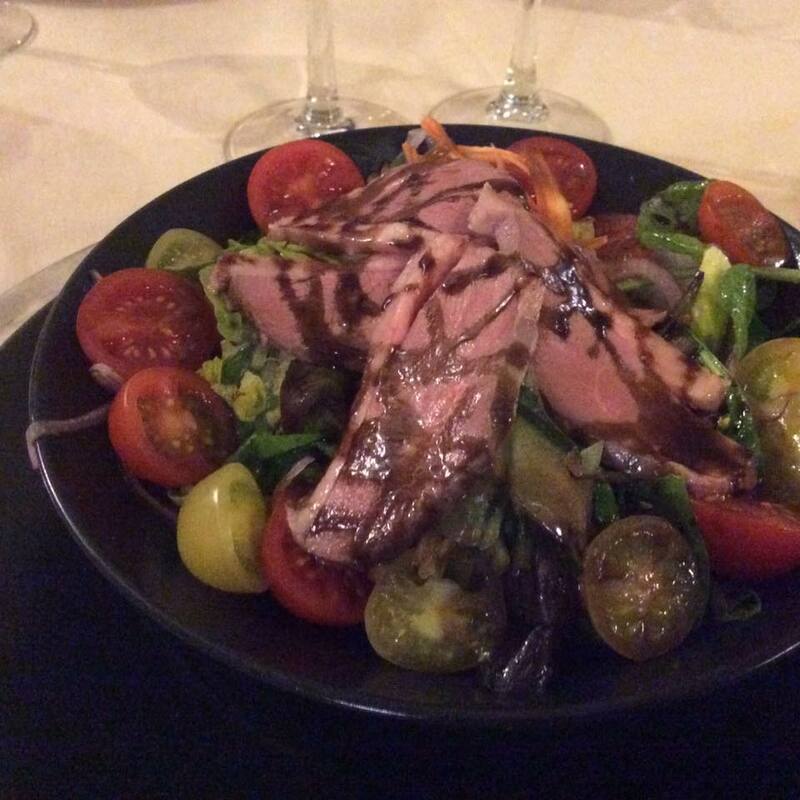 The food was quite simply awesome. 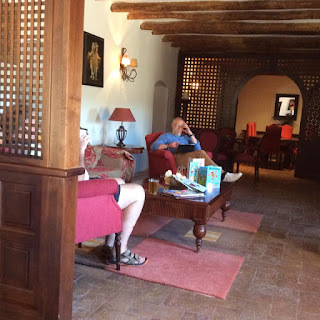 Wine list extensive as you would expect in Spain.... the place is the Bees Knees.. A more budget option that might favour a party of guys, as opposed to, as we were couples,, would be the HOTEL ANTEQUERA GOLF situated in the town itself. 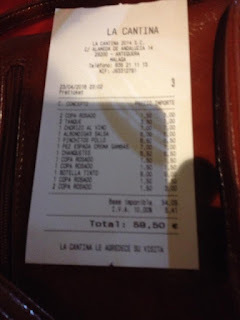 Despite our hotel being out of town and away from the couse, taxis are readily available, the charges reasonable at 15 Euro into the centre of the town. Our Lounge in our bedroom, UNBELIEVABLE! The course is very testing. You need to drive long and certainly very straight to set up opportunities to attack the Greens. This part of the job TSG did quite well. there is substantial water on many approaches and to give birdie opportunities you needed a high ball flight to get close... this as you may be aware is not my strength and despite an improvement on day 2, I simply never got close enough regularly. experience. 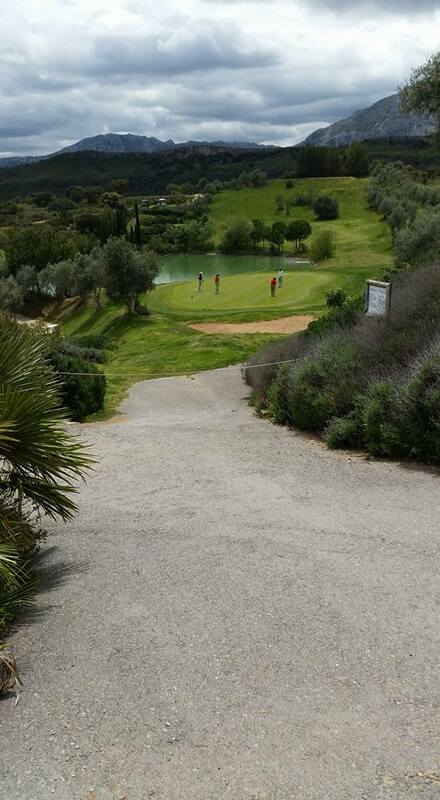 A BUGGY IS A MUST, there are many elevation changes and a few long walks between tees. the 3rd, 13th and 18th where my favourite holes, but none disappointed. Play here you wont be disappointed. ANTEQUERA is an old mediaval town with many historic sights, such as the Moorish Castle. Many Churches, Museums and a Nature Reserve on its doorstep, mean there are many activities available. restaurant and Bars too numerous to mention, mean nightlife is good too. The cost of Wines, beer and food.... This is the TAPAS capital of Spain. where unbelievably cheap, A bottle of wine & Euro. Beers and wine just 1.5 Euro.... on a night out we couldnt spend 20 euro a person.